The safety performance of motor carriers is a serious concern in the trucking industry and is a top priority for the U.S. Department of Transportation. This study explored the extent to which a carrier’s use of owner-operators and/or company drivers affects safety performance. Two primary research questions were addressed: how does motor carrier firm size relate to organizational flexibility, or the use of owner-operators versus company drivers, and does organizational flexibility affect safety performance? The study also examined whether safety performance varies by industry segment. 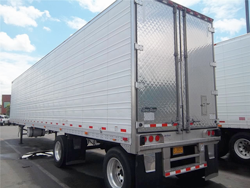 A dataset based on data obtained for a previous study was created that includes equipment ownership profile information for approximately 108,780 motor carriers. An analysis of the data indicated that the larger the firm, the lower the use of company drivers; contrary to expectations, the use of company drivers results in poorer safety performance; and safety performance varies by industry segment.